If you are not familiar with this show, you should get into it. 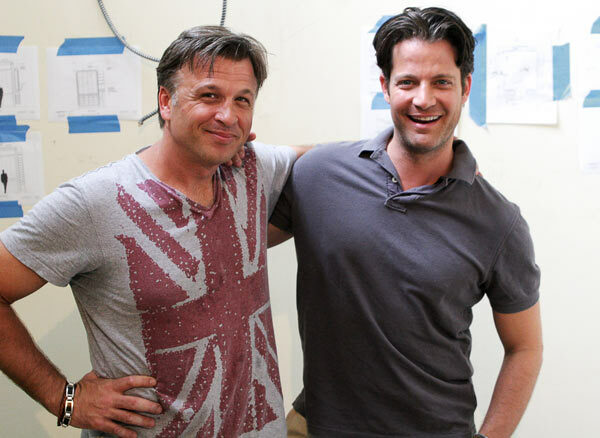 M$C spotlights the best NYC contractor in the business, Steve Fanuka. Steve works with them all. From celebrities, designerlebrities, charities to normal folks. Each episode is filled with the best interior design reveals, but a REAL take on what it took to get there. Which is why I'm left scratching my head on all the radio silence? What's the deal with the time slot? Million Dollar Contractor airs this Tuesday, October 25th, 12pm|11c. But wait, there's more. We are treated with a new episode back to back after the season premiere episode. Great! (right?) NOPE! I found out there will only be a total of FIVE episodes this season in comparison to season one's whopping THIRTEEN. So here's the deal. Whether it be ratings, DIY man-crushing more on Vanilla Ice or we are approaching the seven year itch of M$C, I suggest we all make a little time for this great show. It's practically the realest contractor show on television these days and yeah I personally like the guy too. Oh and if you miss the air dates, you snooze and lose as it won't be OnDemand either. REALLY DIY? REALLY? Facebook @Steve Fanuka "Contractor to the Stars"